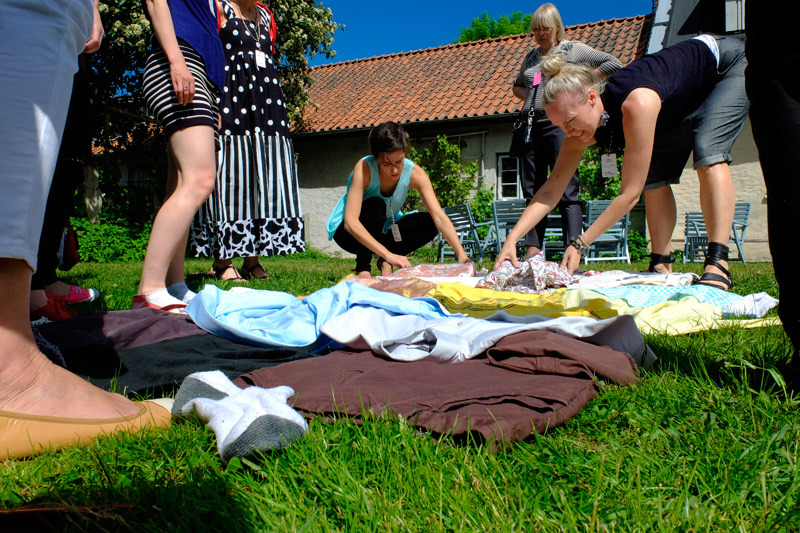 During a workshop on fashion and textiles at Culumus 2013 Kalmar.the participants were invited to make a collaborative patchwork out of discarded garments that the members of the group had brought with them. Working with the material the participants’ had brought was a way of tinkering with the various relations that these garments were part of, such as trends, bodies, where they had been produced, how they were produced and who had worn them. This led the participants into issues of what had made them discarded and considered obsolete, as well as how they could be patched back into new loops of life. This was also a way of intervening into the privileging of the present that fashion is tainted by. 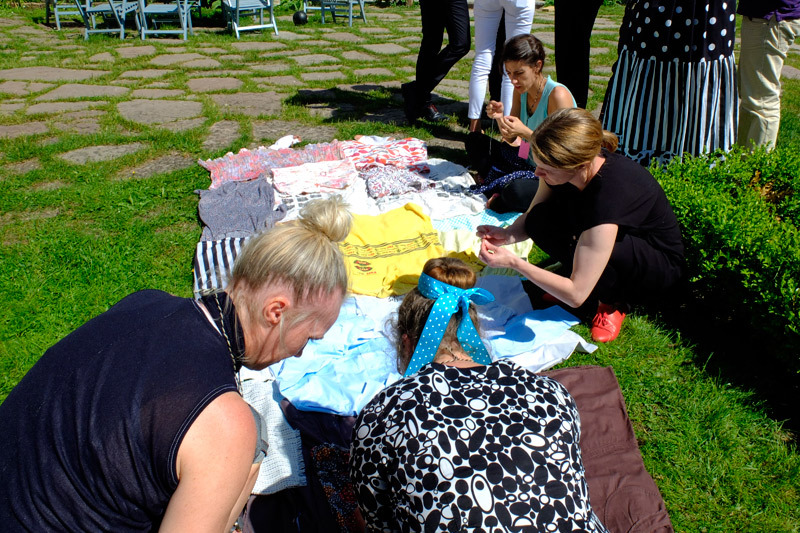 The collaborative patchwork was exhibited at Pukeberg as part of Cumulus 2013. Forsome reflections on the workshop read “I think I probably ran over 100 miles in these”, in Cumulus Working Papers, Kalmar, by Vilve Unt.